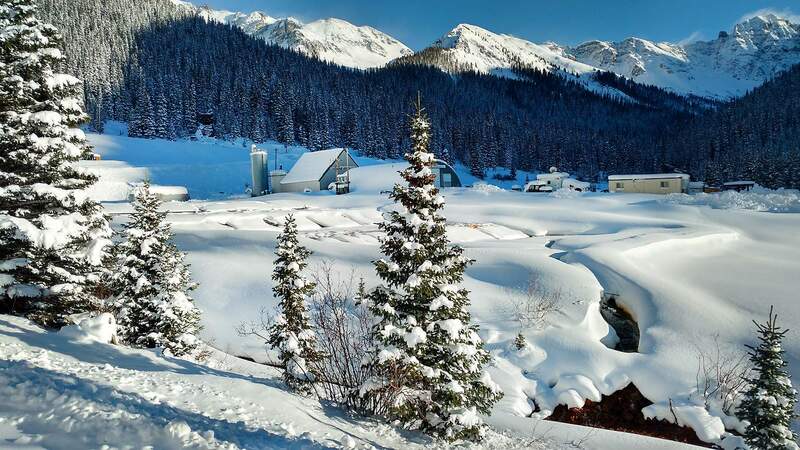 The water-treatment plant north of Silverton that treats Gold King Mine waste will continue to operate despite the government shutdown. Despite the government shutdown, now in its fifth day, the water-treatment plant that cleans mine waste from the Gold King Mine will not cease operations, according to the Environmental Protection Agency. After failing to come to an agreement on spending for the new year, the federal government entered a partial shutdown Friday, suspending funding for many agencies. According to a report in The Washington Post, the EPA’s acting administrator, Andrew Wheeler, told staff late last week there was enough funding to keep the EPA running until Dec. 28. On Wednesday, EPA’s Region 8 office, which covers Colorado, posted on Twitter that the agency has “sufficient funds to operate for a limited period of time and will remain open” this week. Mylott said although the EPA is not currently in shutdown status, that will be re-evaluated if the government shutdown continues into next week. Regardless of what happens at the national level, there is no risk the water-treatment plant will be shut down, too, he said. The EPA built a $1.5 million temporary water-treatment plant, located about 10 miles north of Silverton along Cement Creek, a tributary of the Animas River, in October 2015, three months after the Gold King Mine spill. The spill, triggered by an EPA-contracted crew working on the inactive mine, sent a torrent of mine waste down the Animas and San Juan rivers, affecting three states and two Native American tribes. Since the treatment plant went online, costs have been $1.5 million a year – or about $28,850 a week – to cover operations and maintenance. Mylott said an employee visits the plant daily, weather permitting, for inspections, and equipment installed on scene allows operators to monitor the site from afar. Already, the water-treatment plant has improved water quality downstream, Cynthia Peterson, a spokeswoman for EPA, said in a previous interview. Peter Butler with the Animas River Stakeholders Group agreed that the treatment plant is improving water quality, but the data still need to be analyzed to understand the full extent. What impact the government shutdown might have on the Bonita Peak Superfund site is unclear. Mylott did not immediately respond to follow-up questions Wednesday afternoon. The Superfund site, which consists of 48 mining-related sites responsible for degrading water quality in the Animas River, was declared in 2016, about a year after the Gold King Mine spill. Because most of the sites are inaccessible during the winter, there was no on-the-ground work happening that could have been affected by the government shutdown. EPA staff members, however, are working on a number of matters on the Superfund site, namely a final decision on an interim quick action plan, a human health and ecological risk study, as well as an overall, long-term cleanup plan.